Receive the benefits of IT Services and maintenance without payroll overhead. 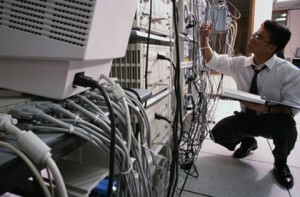 1 Call Service offers network maintenance, monitoring, management, advice, training, support and consultations in order to maintain your network and computers. Our Carrollton office is on Josey across the street from Braums at Keller Springs. We want to be your IT company! Year round service to prevent problems. Experienced staff working to strengthen your business. An IT service consultant dedicated to your account. Constant management and monitoring of your corporate office computer equipment. Answers to your employees questions. Coordinate, investigate and document resolution of server system problems. Manage your vendors, acting as a liaison between users and outside vendors. Support local user issues including data backup, spyware and virus problems. Perform additions/changes/deletions as requested by local administrators. Periodically check backups and define disaster recovery process. Restore applications or available data if requested by administrators. Ensure mail is routing properly and check for dead mail. Monitor servers disk space usage. Perform operating system disk, check when appropriate. Reboot server to defragment memory pools, when appropriate. Perform hardware diagnostics and inspections on system hardware, when appropriate. Perform workstation maintenance to include hard disks. memory and disk space.